What’s the difference between Product Scope, Project Scope and Project Requirements? When I was preparing for the PMP Exam I was really confused between these terms, especially Product Scope vs Project Scope. Not that I didn’t understand what requirements were, it was just the academic definitions of the PMBOK Guide that clouded my mind. The easiest way for me to understand any concept is to look at examples. Unfortunately, the PMBOK Guide doesn’t provide many. Even the popular exam prep guides don’t offer elaborate examples. Now that I have a better understanding, let me help you understand these concepts better. What is the difference between Product Scope and Project Scope? In this post, we’ll not only understand the difference between Product Scope and Project Scope, but also look at the other confusing combo - Product Scope and Requirements. Further, we’ll get into the Project Scope Statement and learn how it ties the Product and Project Scope together. But first, let’s start with the PMBOK Guide definition of these terms. We’ll also put them in simple words and finally look at some examples to reinforce the concepts. Requirement is a condition or capability that must be met or possessed by a system, product, service, result, or component to satisfy a contract, standard, specification, or other formally imposed document. Requirements include the quantified and documented needs, wants, and expectations of the sponsor, customer, and other stakeholders. In other words, Requirements are “what” the customer needs. Requirements can be of many types. For example, product related requirements, performance requirements, quality requirements, project management requirements etc. 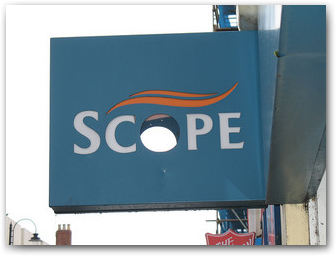 Product Scope are the features and functions that characterize a product, service, or result. In simple terms, Product Scope refers to requirements that specifically relate to the product of the Project. Project Scope is the work that must be performed to deliver a product, service, or result with the specified features and functions. Put simply, Project Scope is all the work that goes in to producing the product (or service or result). What is Project Scope Statement? Project Scope Statement contains the list of deliverables and the work required to create those deliverables. It also states explicitly what’s not in scope. In addition, it includes the acceptance criteria, assumptions and constraints. Below is a link to a good template for the Project Scope Statement based on PMBOK® Guide. Reviewing the template would help further reinforce the concepts. It’s only available for PMI Members though. Project Scope Statement doesn’t include the requirements. Requirements are in the requirements documentation. In fact, requirements documentation is an “input” for creating the Project Scope Statement. Let’s say you have a plot of land and you want to build a house on it. The house is the product in this case. The house should have 3 storeys, 1000 sq.m. of built-up area, 4 bedrooms with attached baths, 2 living rooms, a kitchen, a basement and a garage. The exteriors should be white. These are all examples of Product Scope. Hiring a building contractor, an architect and an interior designer, acquiring legal permits, estimating the cost, taking bank loan, planning for risks such as rain and storms, designing the house, buying construction material, constructing the house, doing the interiors, buying furniture, conducting inspections, conducting regular site visits to track the progress and resolving disputes, making payments and compensations, closing contracts, and moving in are all examples of Project Scope. In addition to the Product Scope there could be other requirements for the house. Using a particular grade of cement could be your quality requirement. Making the house earth-quake proof could be a performance requirement. Getting a weekly progress update from your contractor, and making monthly payments could be your project management requirements. The building contractor would receive the necessary clearances (for floor plans, architecture etc.) from the local town council body (acceptance criteria). The cost should not exceed $100K (constraint). The site would receive uninterrupted electricity and water supply during the course of the project (assumption). A roof-top swimming pool is not included (exclusion). Deliverables include the house, the floor plan, electrical and plumbing diagrams, all the approval documents, keys for the doors, windows, cupboards and drawers. I hope you get a better understanding of Project Scope, Product Scope, Requirements and Project Scope Statement with this post. I’ll do another blog post on the difference between Project Charter and Project Scope Statement in future. If you have any questions or comments on this topic, please post them in the comments section below. Very good example, it simplifies the concept and direct feeds to the brain !! Are the requirements in Project Scope Statement and Requirements Documentation same or Project scope statement is having elaborated requirements document? A simple answer is that Project Scope Statement doesn't include the requirements. Requirements are in the requirements document. In fact, requirements documentation is an "input" for creating the Project Scope Statement. Refer to my example above. Project Scope Statement contains the list of deliverables and the work required to create those deliverables. In addition, it also provides the acceptance criteria, assumptions and contraints and can also explicitly list the exclusions (what is NOT included in the scope). I hope it answers your question. Feel free to ask more questions. Hi Harwinder, I have been referring sevreal books including head first PMP, i must honestly say that you have cleared by doubts on the product scope & project scope, they sound simple but unless explained properly , it is difficult to absorb the concept . I suggets you write a book on PMP. Stop-by frequently and leave your feedback and suggestions, and let me know if you have any particular topics that you want me to cover. Also, a few typo in my earlier comment i posted. I have corrcted the same. pls replace it with these lines. Hi Harwinder, I have been referring several books including head first PMP, I must honestly say that you have cleared my doubts on the product scope & project scope, they sound simple and similar but unless explained properly , it is difficult to absorb the concept . I suggest you write a book on PMP. "Progressively Elaborates the characteristics of the product Service or result described in project charter and requirements documentation"
does this mean that product scope description elaborates each requirement mentioned in requirements document. ? Amazing post and thanks for your efforts...could sound little Cliché though. With the help like "Deep Fried Brain" I am feeling confident...... fault will be all mine if I flunk. I do not think that this example works. Requirements come first and scope is derived from the requirements. Requirement is "solid walls" and combined with some other quality requirements this should lead to scope "using cement of type xyz" to fulfil quality requirements. It is very well explained but in your one of the answer you mentioned PROJECT SCOPE STATEMENT will not have requirements. I am little confused on this point as HEAD FIRST PMP sample project scope statement on page 178 it does show Project Requirment as one of the item. I came here with the intention of asking the same question to Harwinder - "Requirements Documentation vs Project Scope Statement"
I sincerely apologize that I've not been able to keep up with the comments on the blog. Assuming that you understand the difference between Requirements, Project Scope and Product Scope from the article above, Requirements Documentation captures all the different type of requirements (business, stakeholder, project etc. ), whereas Project Scope Statement captures the Project Scope as well as the Product Scope. Hope this simplified explanation answers your question. Thank you your examples are a lot more illustrative.